If you’re shopping for a diamond engagement ring and see the price tag, you may wonder, are diamonds rare? Why do they cost so much? Is demand only driven by advertising? Do they have intrinsic value? We look at these questions and more. If diamonds are carbon, why are they rare? Did advertising create a demand for diamonds? Diamonds are the only gems made of a single element: they are typically about 99.95 percent carbon. The other 0.05 percent can include one or more trace elements, which are atoms that aren’t part of a diamond’s essential chemistry. Some trace elements can influence diamond color or crystal shape. Carbon is a fairly common mineral in nature. But to crystallize as a diamond, carbon must be subjected to the extremely high temperature and pressure conditions that exist deep beneath the earth’s surface, in the mantle. Under these conditions, each carbon atom forms short, strong bonds with four adjacent carbon atoms. Graphite, another form of carbon, crystalizes at lower temperatures and pressures in the earth’s crust, so its crystal structure is very different. The result is that graphite, which is used in pencils, is so soft you can write with it, while diamond is so hard you can only scratch it with another diamond. After the diamonds formed, as far back as 3.5 billion years, some were brought to the surface millions of years ago via volcanic eruptions. 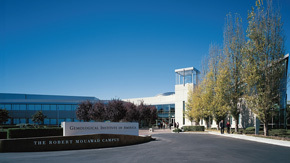 Many remained embedded in the solidified igneous rock, typically kimberlite, while others were dispersed over time, moved hundreds and even thousands of miles by rivers and other waterways as the host rock eroded. An untold number did not survive the journey, breaking apart either because of diamond’s cleavage (tendency to break or split because of its atomic structure) or the presence of large inclusions. Most mining for diamonds is expensive because of the tremendous volume of ore that must be removed and then processed (crushed and washed) to recover them. 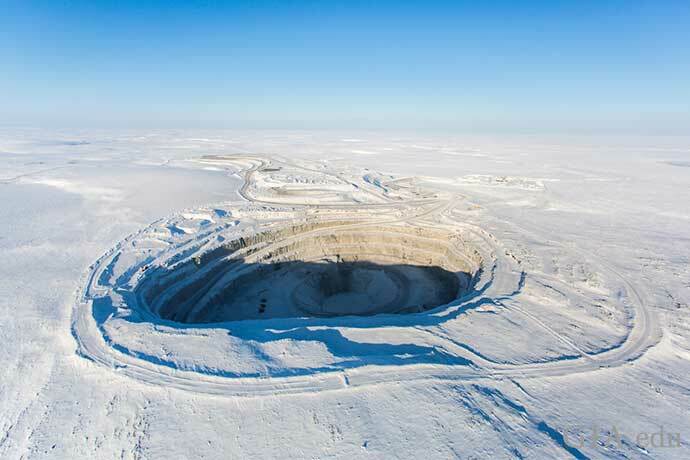 Adding another layer of complexity, diamond mines are often in remote areas. Mining in places like the frozen terrain of Siberia and Canada, or remote regions in Africa and Australia, has special challenges – and costs. In addition, as with most things we purchase, quality and rarity drive price. Low-quality “industrial” diamonds make up the vast majority of rough recovered from most mines. These are unsuitable for use in jewelry. While the ratio of jewelry-quality diamond to ore varies from mine to mine and even within a mine, workers often must process about a ton of rock to recover a piece of gem rough weighing half a carat, which might produce a faceted diamond half that size, or 25 points. 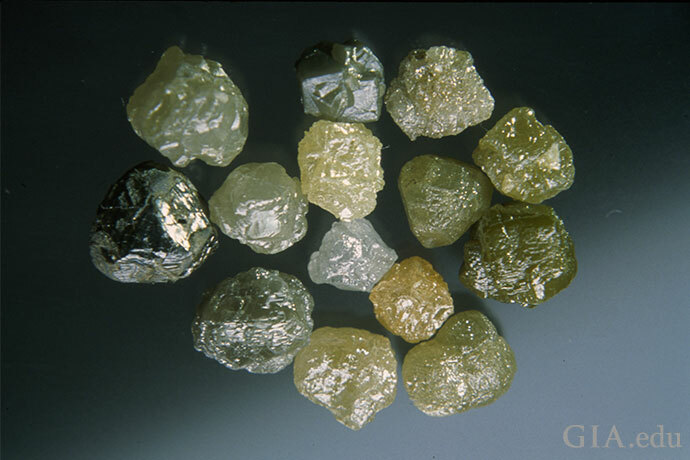 Like most diamonds mined, these rough diamonds are not jewelry quality. They are better suited for industrial purposes. 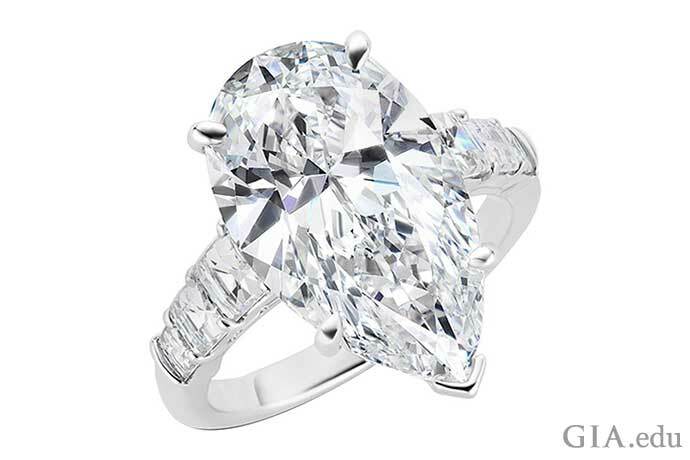 Courtesy: Thomas Hunn Co.
Today, many diamonds are both widely available and very affordable. Yet large, fine-quality diamonds with high clarity and good color are still quite rare. Depending on the characteristics of the mine, something like 100,000 tons of kimberlite or secondary material may have to be processed to produce a single piece of rough from which a 1 ct D Flawless diamond can be cut. The rarity of such a high-quality diamond will be reflected in its price. Colored diamonds take the question, “Are diamonds rare?” to the extreme. 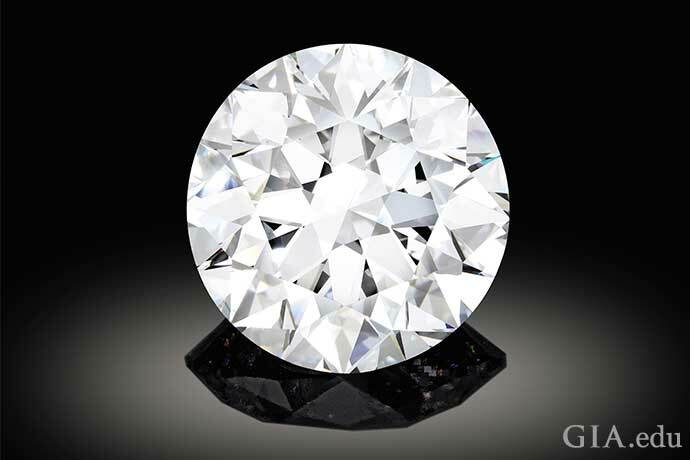 Most of these spectacular beauties are far rarer than diamonds in the GIA D-to-Z color range. Some experts estimate that fancy-color diamonds represent only two percent of total rough diamond production. Whereas yellow and brown diamonds are relatively common, all other colors are rare. Red diamonds, green diamonds and blue diamonds with medium to dark tones and moderate saturation are extremely rare. It is difficult to judge relative rarity, but violet, purple and pure orange with no hint of brown are among the rarest diamond colors. 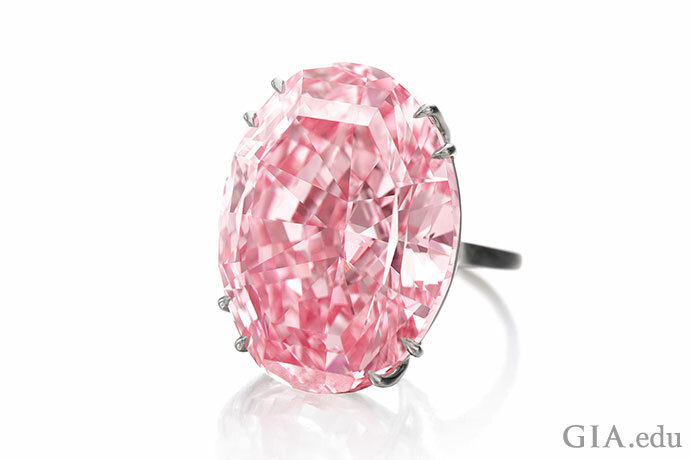 Fine pink diamonds are among the most sought after. The value for these unique beauties is skyrocketing: The 59.60 ct CTF Pink Star (an Internally Flawless Fancy Vivid pink) sold to Chow Tai Fook for $71.2 million in April 2017. Brown diamonds were typically reserved for industrial use until the 1980s, when Australia’s Argyle mine began to produce attractive browns in abundant quantities. 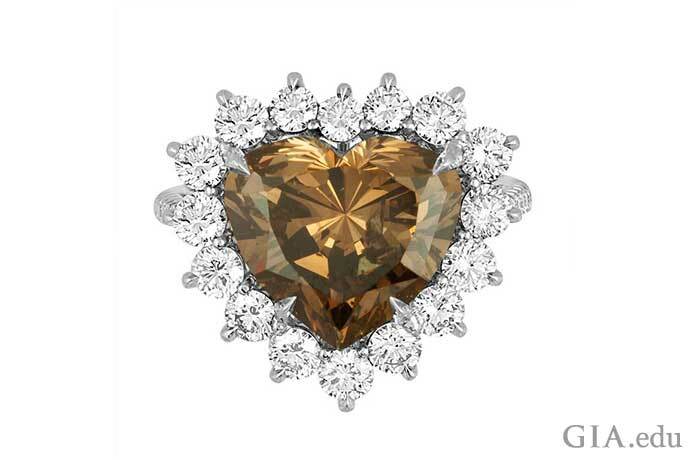 Savvy marketers dubbed them “cognac,” “champagne” and other appealing names that helped create demand for brown diamonds with the jewelry buying public. Yellow is the second most common fancy color. 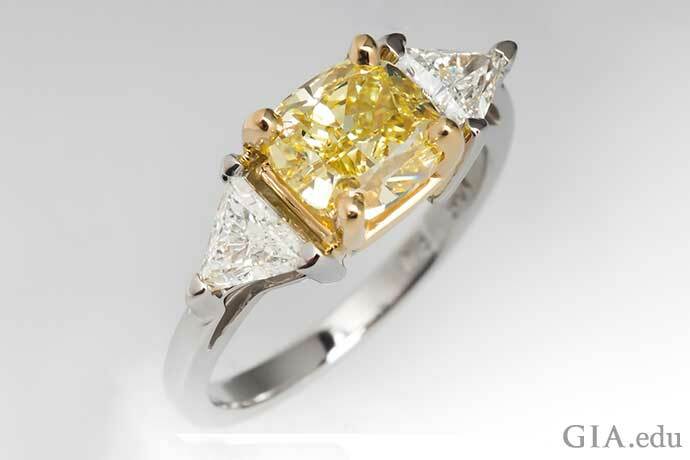 While abundant compared to other colored diamonds, fancy-color yellow diamonds represent a small portion of overall diamond production. 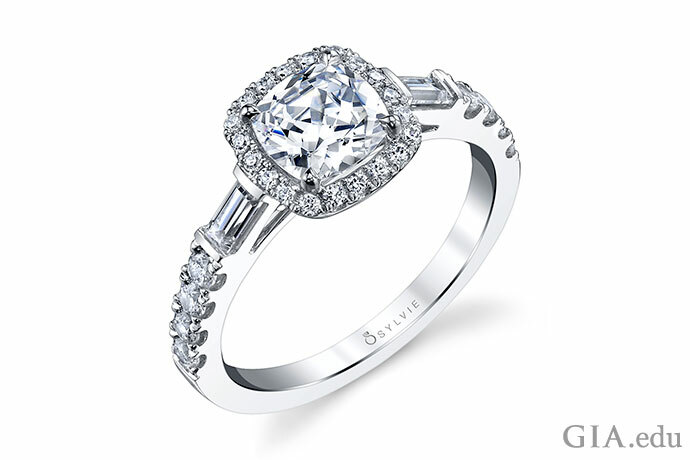 Their beauty and the depths of color in which they occur offer a wide range of options for diamond engagement rings. 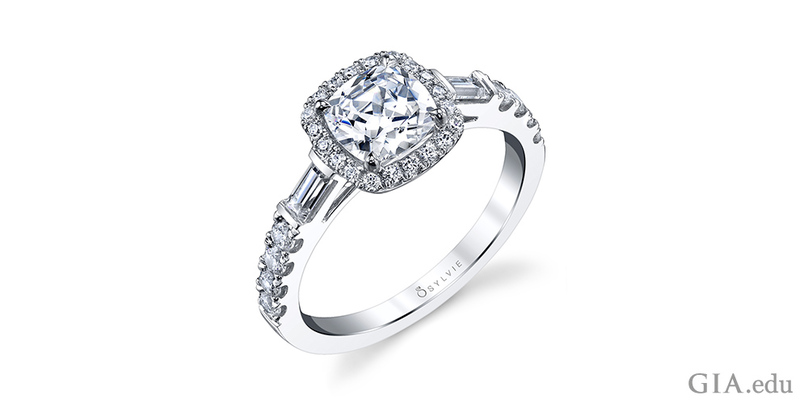 The notion that clever advertising created our desire for diamonds isn’t true. Diamonds’ unique qualities and rarity have made them a coveted gem for centuries. The diamond love affair started in India, where diamonds were gathered from the country’s rivers and streams. 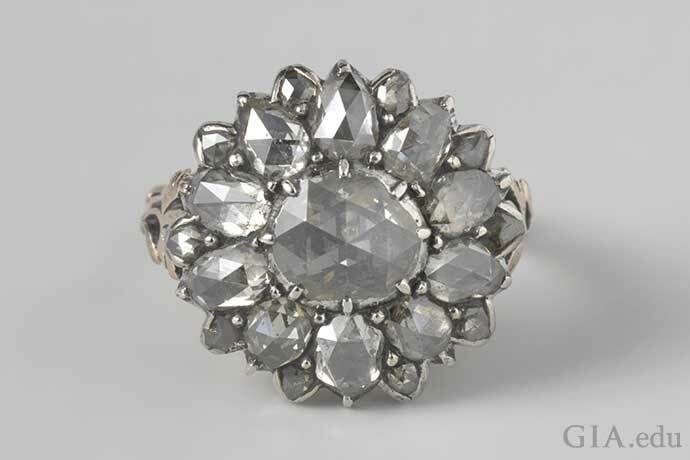 Traded as early as the fourth century BCE, diamonds were coveted by the wealthy. Caravans brought Indian diamonds, along with other exotic merchandise, to medieval markets in Venice. By the 1400s, diamonds were becoming fashionable accessories for Europe’s elite, and new discoveries in Brazil in the 1700s continued to fuel desire for the gem. However, diamonds remained so rare that until they were discovered in South Africa in the 1860s, only aristocrats and the wealthy could afford them. The prolific mines in South Africa – and later discoveries in other African countries, Russia, Australia, Canada and elsewhere – put diamonds in reach of the rapidly expanding middle class. While advertising did not create our desire for diamonds, it certainly helped fuel the demand for diamonds, especially beginning in the 20th century. Advertising copywriter Mary Frances Gerety wrote the famous slogan “A diamond is forever” in 1947, and it has appeared in virtually every De Beers ad since. So compelling was the advertising campaign that the diamond engagement ring quickly became the way to express marital love and commitment. In fact, in 1999 Advertising Age named it the top slogan for the 20th century. Advertising has been extremely successful in promoting diamonds not only as a symbol of status and luxury, but also as the perfect symbol for a long and successful marriage. But it’s unlikely that advertising would be effective if it didn’t tap into the already deep connection humans have to the inherent qualities of diamond: durability, timelessness, beauty and rarity. 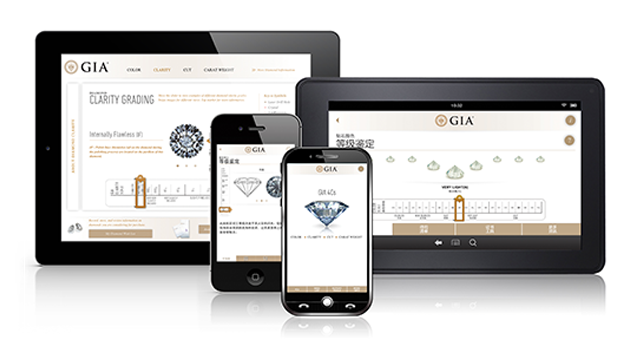 Now that you understand a little bit about diamond rarity, you might want to explore the other factors that determine diamond value: the 4Cs of diamond quality.